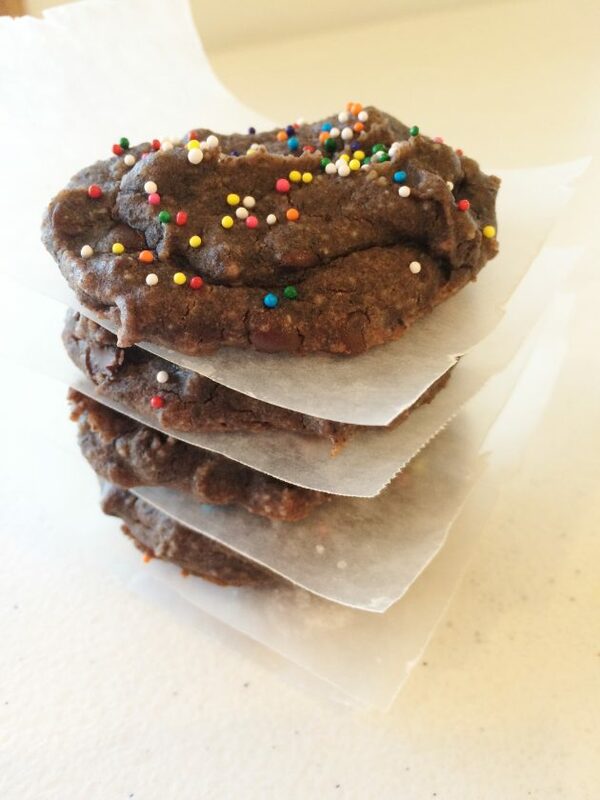 Looking for a grain-free cookie that’s packed with protein and on the healthier side? Try these, and I’m almost sure you won’t be disappointed! 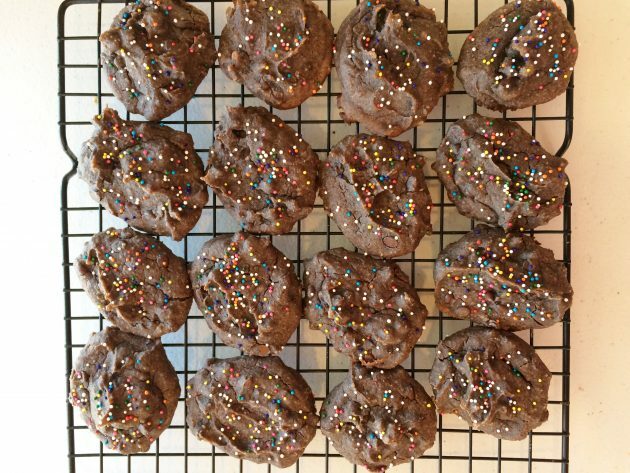 You’ll never even notice the hidden ingredient that adds the protein to these delicious, chocolatey cookies! The best part? They freeze really well! 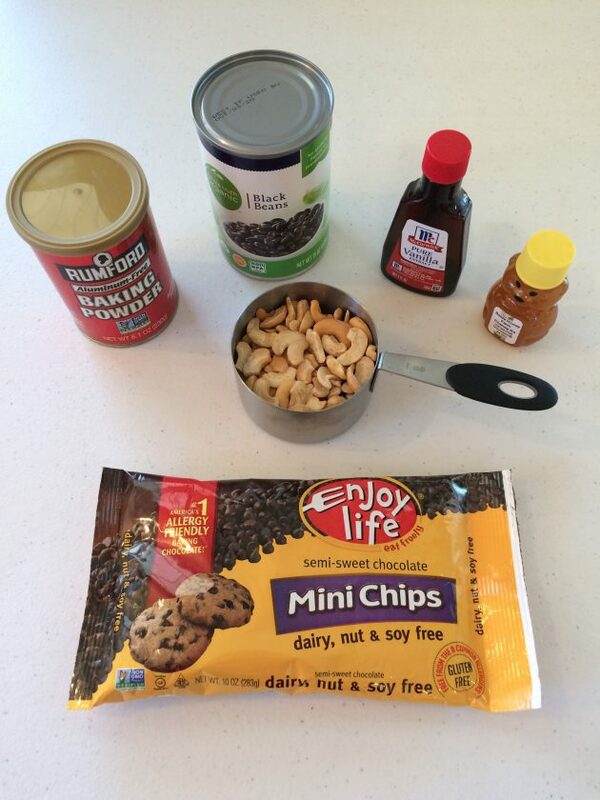 Place all ingredients (except chocolate chips) in a food processor, and process until very smooth. 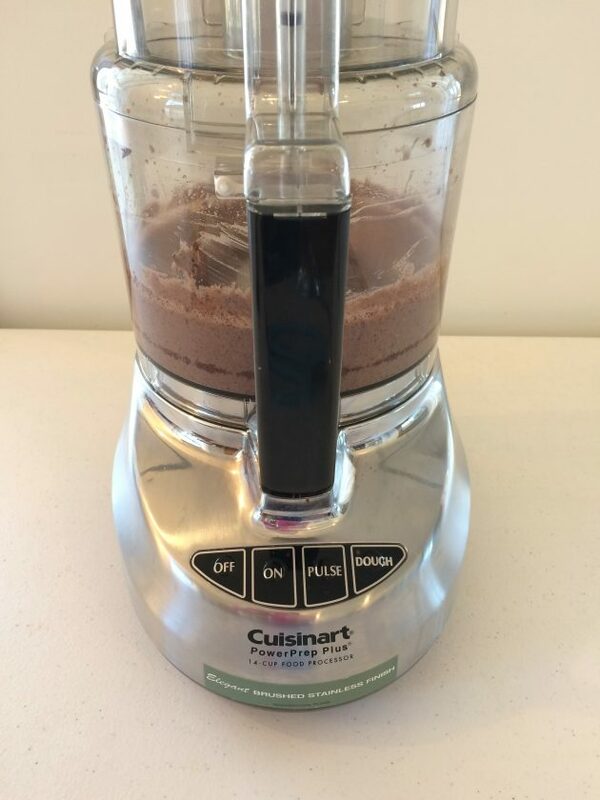 If there are chucks of black beans on the sides of the processor, use a rubber spatula to scrape them back into the mixture, and process again until they’re combined. 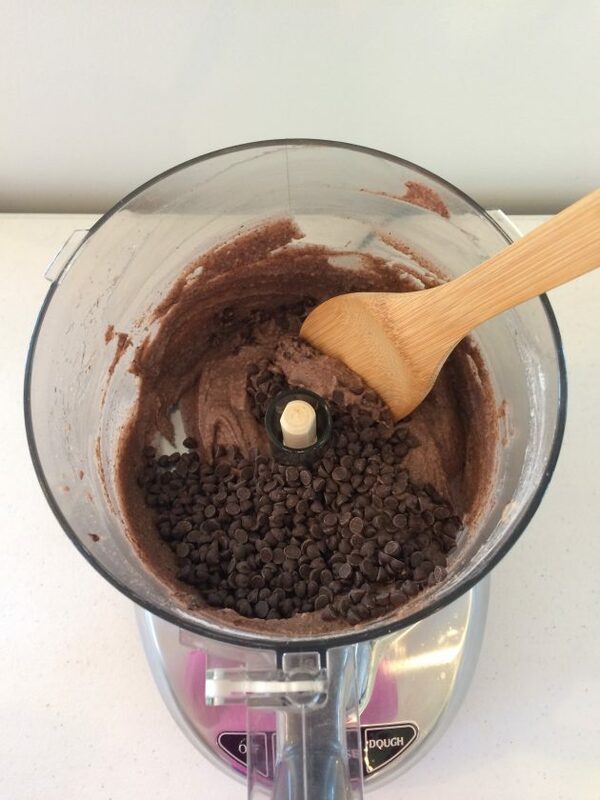 Remove blade, and stir in chocolate chips. 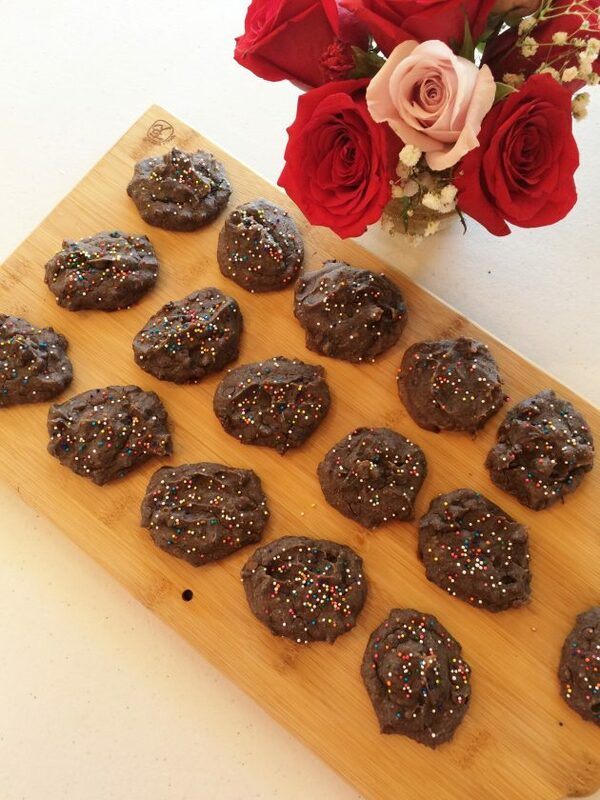 Using a spoon, drop cookies by tablespoonfuls onto greased baking sheets. 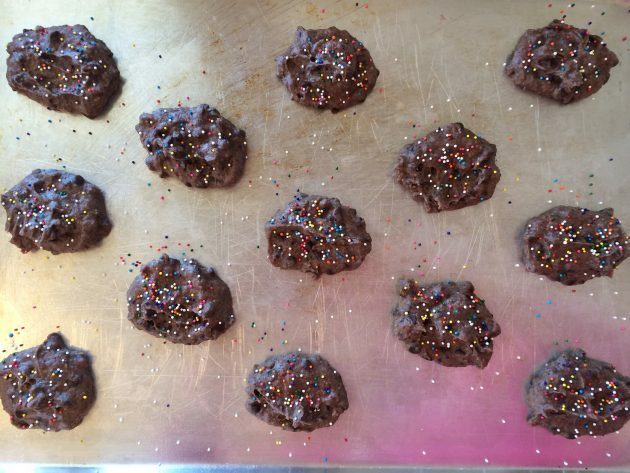 If desired, decorate with sprinkles. Bake for about 10 minutes. Let cool slightly before removing to wire racks to cool. 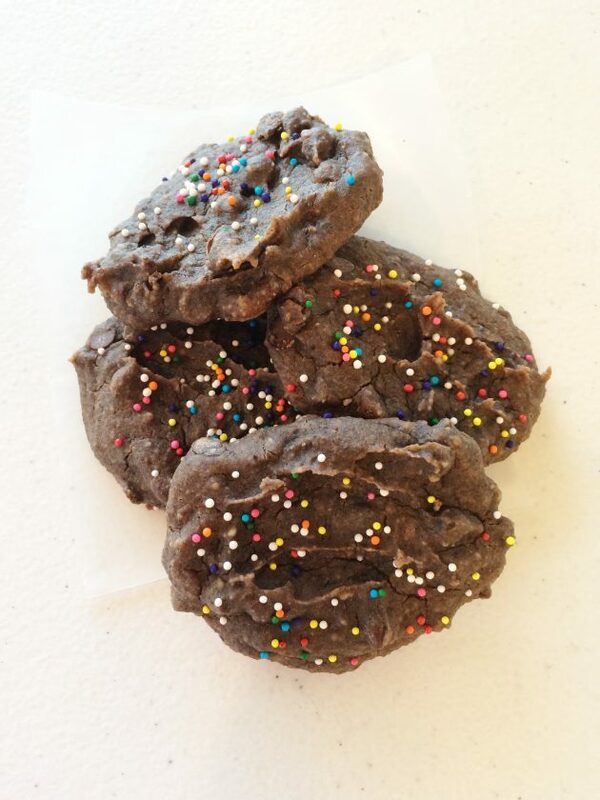 To freeze: Place cookies on cookie sheets and freeze for 2 hours. Remove from cookie sheets and place in freezer bags. Freeze for up to 3 months. Would this work with almonds or peanuts? I don’t have any cashews on hand.